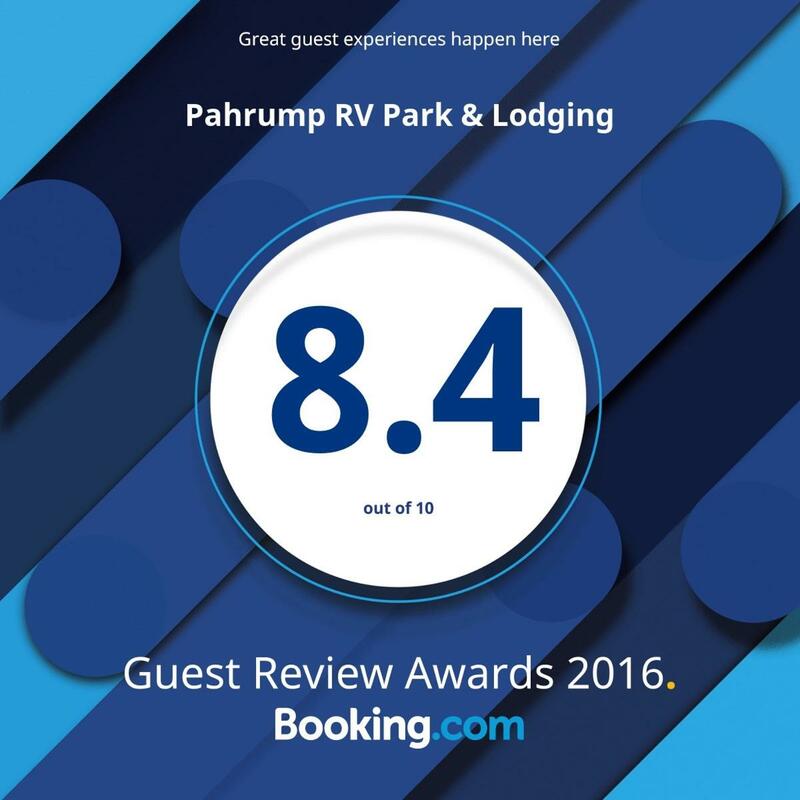 You're always welcome at Pahrump RV Park & Lodging! With 60 tree-shaded RV spaces, a grass camping and tent area, and furnished overnight RV Caravan accommodations, Pahrump RV Park & Lodging can meet your needs. We are conveniently located in the heart of Pahrump, Nevada, close to shopping, restaurants, casinos and area attractions, yet just far enough away for you to enjoy beautiful, sunny days and clear, quiet nights. Best of all, we are just Over the Hump from the bright lights of Las Vegas. We have lots to offer including the Best Rates of any RV Park in the entire Pahrump area! So check out our website and look for our great Specials! We now offer Fully-Furnished RV Lodging with NO Resort Fees! We look forward to having you as our guests. Call or email us and make your reservation today! We now offer Furnished RV Accommodations!